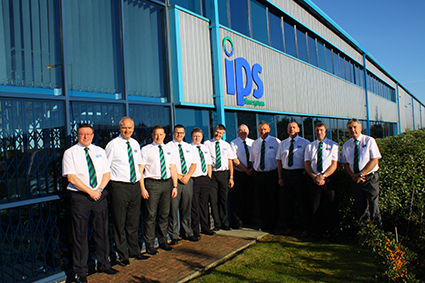 Well, here we are in October, already in to the final quarter of 2015 and who would have thought the penultimate sales meeting of the year would see most of the IPS sales team posing for a group photograph in short sleeved shirts.....??!! From left to right - Kevin Curran, Les Walker, Mark Casciani, Paul Wright, Andrew Lamb, Andy Robins, Peter Noyce, Dave Whalley, Ian McNicol, Kevin Davidson, and Terry Duell. Location: Old Trafford Football Stadium, Manchester. If you get a chance, please come and visit our stand at any of the above shows where we would be delighted to discuss the latest additions to the IPS product range, namely Kessel Hybrid Drainage and Backwater Protection systems, and RM Press-Fit metallic piping systems. Have a great weekend everyone and let's hope you all enjoy the same sunny weather as we are enjoying here in the beautiful North-East region of the UK.